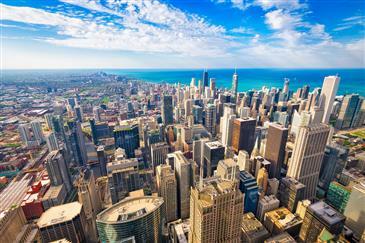 List With Chicago's Top Local Agents. Describe any upgrades or conditions relevant to the sale of your home. For example: "Hardwood floors throughout, upgraded kitchen with granite countertops and stainless steel appliances" or "Needs TLC." Anything else that might help us better serve you? The first step to listing is scheduling a consultation with your agent. This consultation is to assess your current market value, review the process, and to discuss your needs and expectations. You’ll have a chance to walk through your home to highlight the features you find the most appealing about your place. Together you will create a time frame and punch list for things to do before hitting the market and go over any questions you have. You’re armed and ready to go. You have a time-frame and a few things to take care of before your listing goes live on the market. Do as much as you can to make your home the model of perfection so that when you hit the market, you come on strong! De-clutter and store any seasonal items in a storage locker or off-site. If there are any repairs or aesthetic touches recommended, get a jump start and handle those first. Need referrals? Your Urban agent has a bevy of resources at their finger tips so whether it’s a plumber, a painter, or movers, call your Urban Agent to get things squared away. Once you’re all set- it’s photo time! 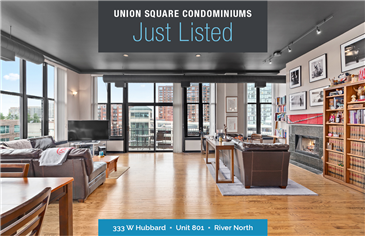 Urban’s professional photography and innovative marketing will be ready the same day your listing hits the market to ensure we’re putting our best foot forward. You only have one chance to make a first impression! Once your listing is live, you’ll want to maximize your showing potential so be sure to keep everything pristine for any last-minute showing requests. Nap time? Pet at home? Just let our agents know ahead of time so we can work with your schedule. Good news; we have an offer! Once we have an offer, your agent will walk you through the terms of the contract and help you weigh your options. As trained negotiators, they are at the ready to help command the best price and terms for your home. Once you are under contract your agent will handle the details and you can rest easy. They will coordinate the home inspection, monitor attorney review, update you on contract milestones, and ensure that earnest money and deadlines are on schedule. Every sale is different and if any issues come up, your agent will help you navigate through them. If there are any inspection items needed for repair, your agent can help with any contractors or handymen to get the job done. Shortly before the closing, your Urban agent will schedule a final walk through with buyers, handle the key exchange, and any remaining issues. You are welcome to attend the closing but it is not often required. Once the deal closes, your agent will call with the good news! Is there a right time to schedule my consultation? Yes, as soon as you are starting to think about selling! What if I’m in the early stages of thinking about selling and just want to know the value of my home? How do I choose my real estate attorney? You are welcome to work with anyone you choose. Your agent will also have solid referrals for attorneys they’ve worked with. Do I attend showing or the home inspection? No. The seller does not typically attend either showings or the home inspection. This is, in part, to ensure that potential buyers feel comfortable in the space and can envision themselves living there.